Today I’m reviewing Monu Essential Care Cleansing Balm. I’d heard of the Monu brand name, but never actually tried any products before, so I was realy excited when they asked me to review something for them! So firstly – what is it?? Monu Cleansing Balm is an indulgent melting balm that works to cleanse skin and remove make-up for an instant boost of radiance and vitality. It’s suitable for all skin types. 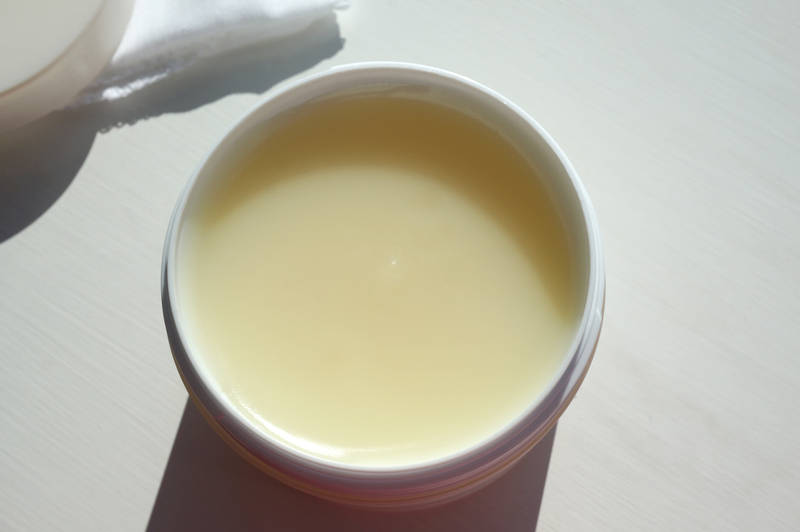 Warm this decadent balm in the palm of your hands before gently massaging over the face and neck. Easily sweeping on to the skin, it will efficiently melt into the pores to dissolve all traces of make-up and impurities Add water to emulsify the balm into a luxuriously rich and creamy milk that will leave skin feeling vitalised, conditioned and utterly flawless from morning to night. Ooh sounds good, tell me more? Bursting with the aromatic scents of uplifting Rose and Geranium essential oils to awaken the senses and stimulate the skin. Formulated with rich sources of fatty acids such as Evening Primrose, Blackcurrant and Rosehip seed oil. These active ingredients will aid in maintaining a youthful suppleness and elasticity to the skins appearance, helping you to look and feel refined all day long. The added effects of comforting Wheat Germ, Apricot and Almond oils will help calm and clean the skin. Well that all sounds rather fabulous doesnt it!? The balm comes in a generously sized 150ml tub, it’s much bigger than I expected. It smells amazing – quite citrusy which I love – and reminds me of something but I just can’t put my finger on it at the moment (let me know if you know what it is!) It costs £38 for 150g which to me is fairly expensive, but won’t break the bank at the end of the day. After using this for a couple of weeks I can’t tell you how impressed I am! It does what it’s meant to do – and it does a good job. My skin feels clean and soft after use, the product smells great and leaves my skin feeling amazing, I don’t actually think it could be any better! This sounds lovely, I really like cleansing balms! The scent sounds gorgeous, too!